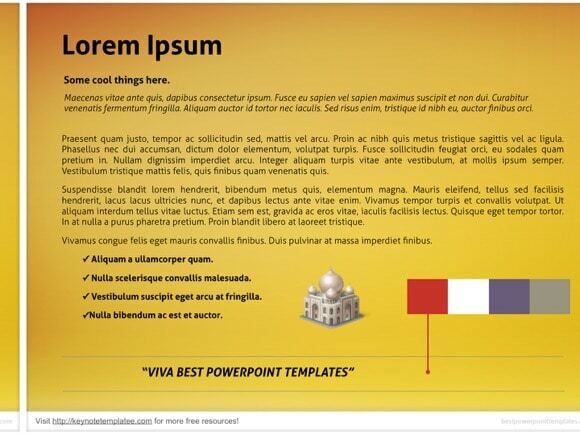 Egyptian PowerPoint template - FREE! 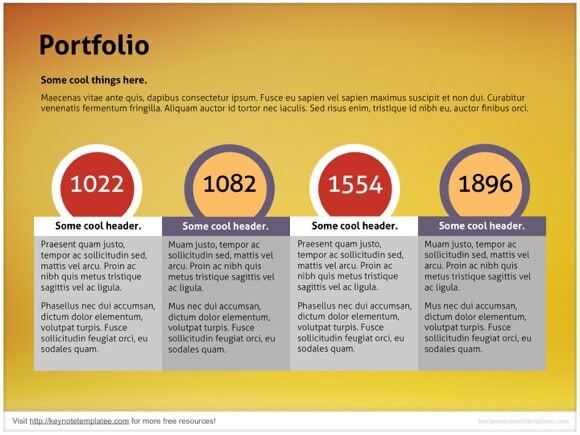 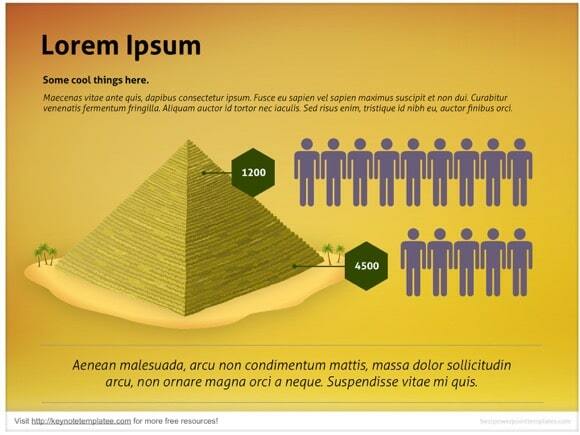 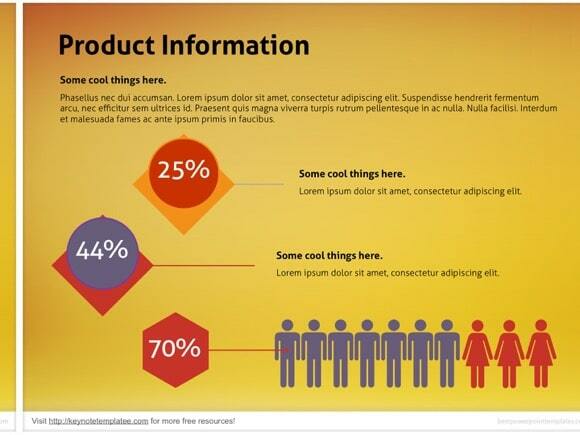 Free Egyptian PowerPoint template is good for ancient PPT presentations. 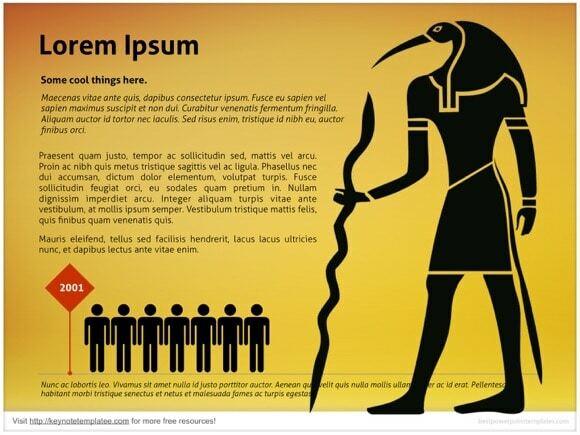 Egypt has one of the longest histories of any modern country, so if you have some ancient history lesson to learn, you can do that with the help of this free Egyptian PPT. 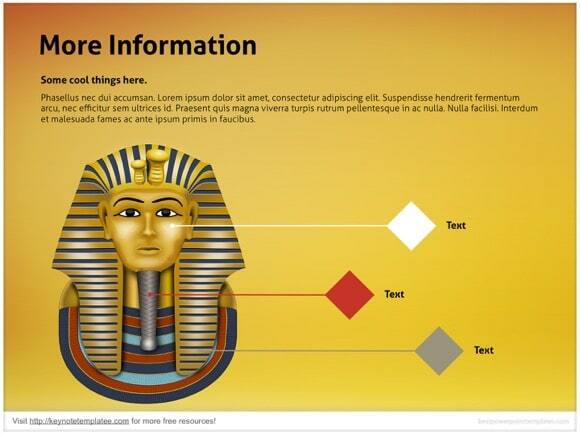 It uses yellow background theme, with a pharaoh – an ancient Egypt ruler. 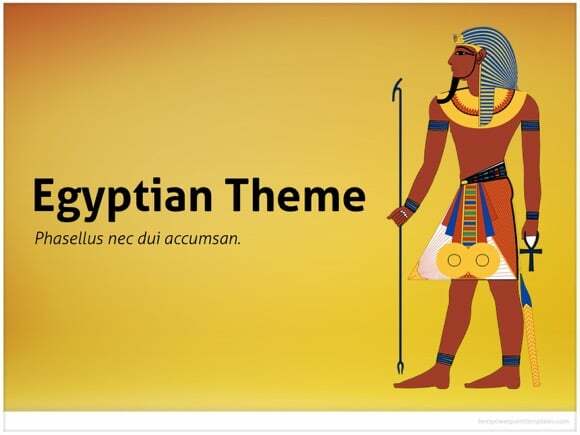 Download and enjoy Egyptian theme and use it for your own Microsoft PowerPoint project. 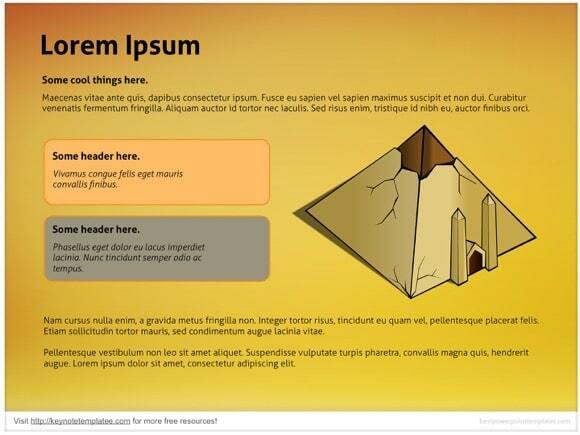 Feel free to use other free ANCIENT templates on my site!